"They have been known to deep soul, funk and disco collectors for decades for their sought after 7" 'Watching Out/Dazed,' long thought to be the band's only recordings. 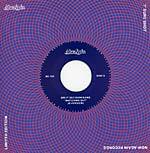 Egon tracked down Split Decision Band's vocalist and songwriter Gordon Starr Flipping in the hopes of more and got it -- with Split Decision Band, Now-Again presents a never-before-released album of devastatingly good disco and boogie from the unlikely city of Des Moines, Iowa. Flipping's collaborations with Prince's stable made him a Midwestern legend, but his band's music is more than an urban tall tale -- this album finally proves to the world their merits." The CD is presented in a six-panel eco-wallet with a 16-page booklet with the story of this mysterious band, told for the first time, and many unpublished photos. 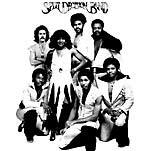 "The last release from the first round of the Sure Shot series comes courtesy of the Split Decision Band: one of the best independent disco songs ever released, out of the unlikely locale of Des Moines, Iowa, in the late 1970s. A reissue of the original 45 version of this song is paired here with an unreleased version, taken from an album that the band recorded but never released. We will issue it at Now-Again in full in 2015."